A 42-year-old man dug up the skeletons in his closet, or rather the 300 pounds of cannabis under a fishing net for the police in Union Island, and effectively arrested himself. This is the situation that was presented to the court when Kent Adams was sentenced last Friday. The facts read that on Tuesday, December 18, 2018 the police were informed of a drug transaction in process at Chatham Bay, Union Island. The police upon reaching saw nothing unusual, but did happen to see the defendant. Later the corporal saw a black boat enter the bay with two men on board, and called the coastguard for backup. When the coastguard reached the Bay five minutes later, they explored the boat. They found that the two occupants were Grenadian, but a further search revealed nothing illegal. 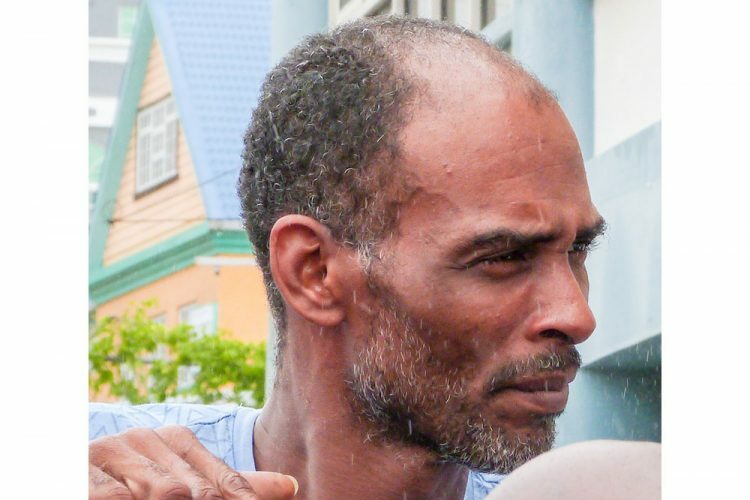 The police interviewed the captain of said boat, who said that he came to collect two goats from a man, to go to Carriacou, and described the man as a tall man, wearing camouflage pants. The police returned to the beach and spotted the defendant who they saw earlier. The police questioned him, and Adams admitted that he was in possession of cannabis, and that he had sacks hidden. After saying he would take them to where they were hidden, Adams took them to a place where a fishing net lay on the beach, he pulled the net aside, and began to dig. Thereafter were taken out 11 sacks of Marijuana. Adams insisted that the sacks were not his, and that he was only delivering them to the Grenadians on the boat. The 42-year-old had no criminal record. Adams had been charged with possession of 151,600 g of cannabis, attempting to export the drug, and drug trafficking, but the prosecution withdrew all charges except the illegal possession. He asked that the court take this characteristic into consideration. Connell stated that this is a case which may just cry out for leniency, and asked that he be given a suspended sentence if a jail sentence is imposed. “This man has no inkling of criminal behaviour,” he said. The prosecutor only commented that he remembered a case in the High Court where Justice Frederick Bruce-Lyle was presiding wherein the person had told the judge that one should speak the truth and the truth will set you free. “Well this is one truth that will not set you free,” the prosecutor recalled the judge as responding. Chief Magistrate Rechanne Browne-Matthias noted that had it not been for Adams’ actions, the police would have come up very short. After standing down the matter, she returned a sentence of one year imprisonment, suspended for six months.